The SPA3102 features the ability to connect standard telephones and fax machines to IP-based data networks with the additional benefit of an integrated connection for legacy telephone network "hop-on, hop-off" applications. SPA3102 users will be able to leverage their broadband phone service more than ever by automatically routing local calls from mobile phones and land lines over to VoIP service providers and vice versa. If power is lost to the unit or Internet service is down, calls can be redirected to a traditional carrier via the FXO interface. 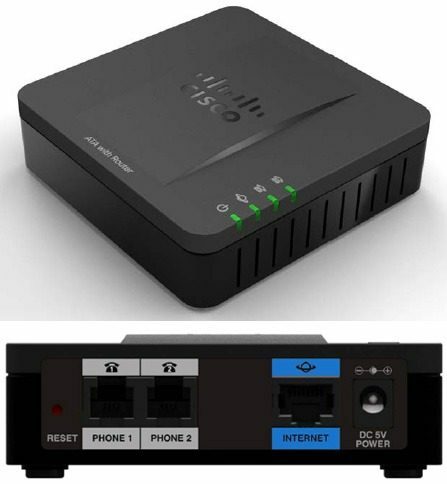 The SPA3102 delivers clear, high-quality voice communication in diverse network conditions. Excellent voice quality in a demanding IP network is consistently achieved via our advanced implementation of standard voice coding algorithms. The SPA3102 is interoperable with common telephony equipment like voicemail, Fax, PBX, and interactive voice response systems. The SPA3102 offers all the key features and capabilities which service providers can provide customized VoIP services to their subscribers. 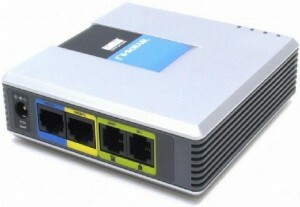 The SPA3102 can be remotely provisioned and supports dynamic, in-service software upgrades. A secure profile upload saves providers the time, expense, and hassle of managing and pre-configuring or re-configuring customer premise equipment (CPE) for deployment. 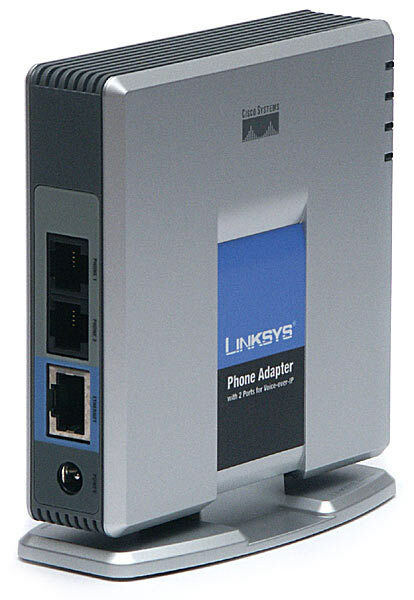 Linksys understands that security for end users and service providers is a fundamental requirement for a solid, carrier-grade telephony service. The SPA3102 supports secure, standard encryption-based methods for communication, provisioning and servicing.